The Kalao is quite the 4×4 of the kayak world. 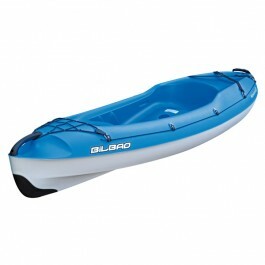 Equally at ease on the sea, rivers or for fun, it really is the kayak for all adventures. 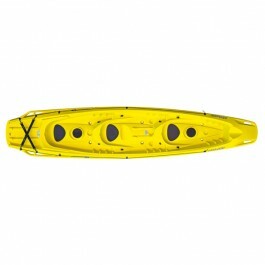 Like all BIC Sport kayaks it features plenty of innovations. The fluid, stable hull design makes it simple for a family of two adults and two children to all ride together in complete comfort. That makes it the first true 3 (adult) person Sit-On-Top on the market, with 3 proper ergonomic seats. Essentially, the Kalao combines capacity of the old style family canoe, with the safety of a Sit-On-Top kayak! The other big first : it can be adapted to take an electric motor. 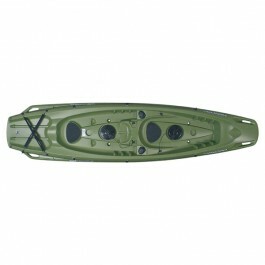 The largely flat hull design with very little water draught is extremely stable and allows the kayak to go almost anywhere. Such aspects as storing your belongings while kayaking, as well as carrying and transporting your kayak have all also received detailed attention. One other important point : it’s unsinkable. 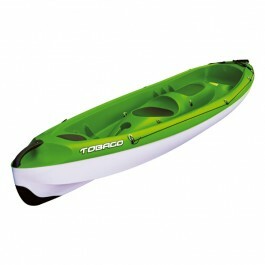 The Tobago is the perfect kayak for all the family and all uses. Its ergonomic seating positions and well researched design provide for several possibilities of use: 2-adult paddling, with 1 or 2 children… The central seat, in the shape of a motorbike seat, is very practical for kids. There is also space for a bag or container when out on an excursion. The fluid hull lines mean it’s also well suited to sport kayaking, with the additional crew of your choice, all with maximum comfort and safety. The Tobago comes with a wheel at the rear, for easy transport in car parks, bow protection and elastic straps to secure your equipment. EVA foam pads cover the seats. 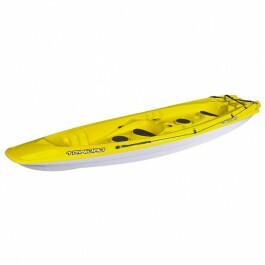 The Tobago is a fast, stable and comfortable sea kayak. 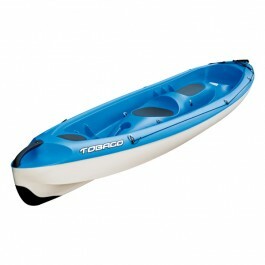 The Tobago is the perfect kayak for family outings and general use. It offers several possibilities: 1 or 2-adult paddling, with 1 or 2 children seated on the central section, shaped like a motorbike seat. There is also space for a bag or container when out on an excursion. 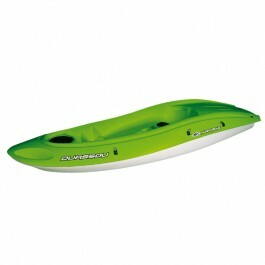 The fluid hull lines mean it’s also well suited to sport kayaking, all in complete comfort and safety. The Tobago comes with a wheel at the rear, for easy transport in car parks, bow protection and elastic straps to secure your equipment. EVA foam pads cover the seats. 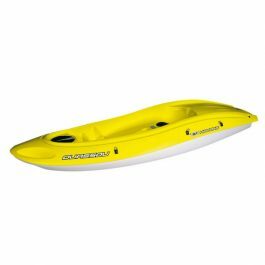 The Tobago is a fast, stable and comfortable sea kayak.